I am here to introduce you all to Nextmia and SammyDress. 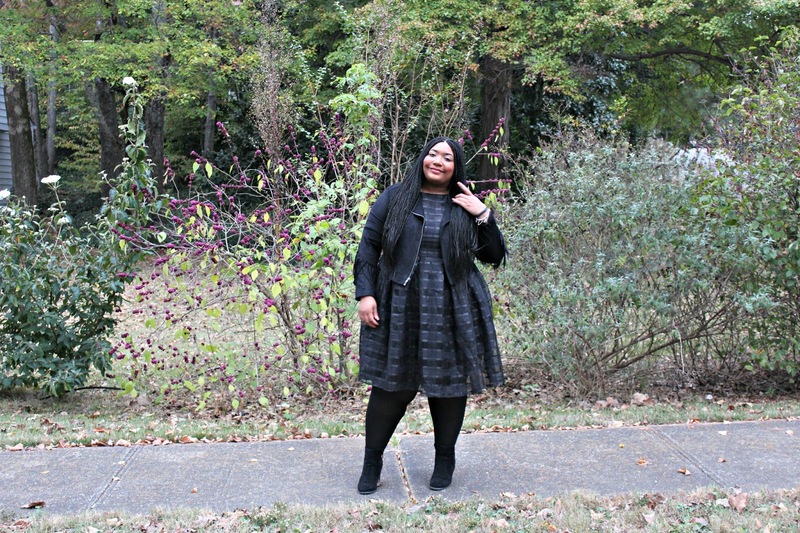 I am a huge fan of awesome dresses and this dress from Nextmia is nothing short of fabulous! 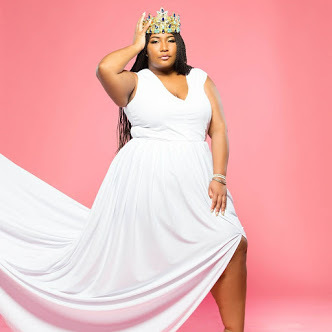 Here’s a little background information on Nextmia, they “sell some of today’s most edgy fashion, and provide all kinds of stunning plus size fashion, including dresses, swimwear, tops, outerwear, bottoms and lingerie, making Nextmia.com the go-to online fashion store to get your chic fix. For those plus size and fashion-chasing ladies, we’ve got you covered.” When I saw this dress I immediately knew I wanted to black this look out. 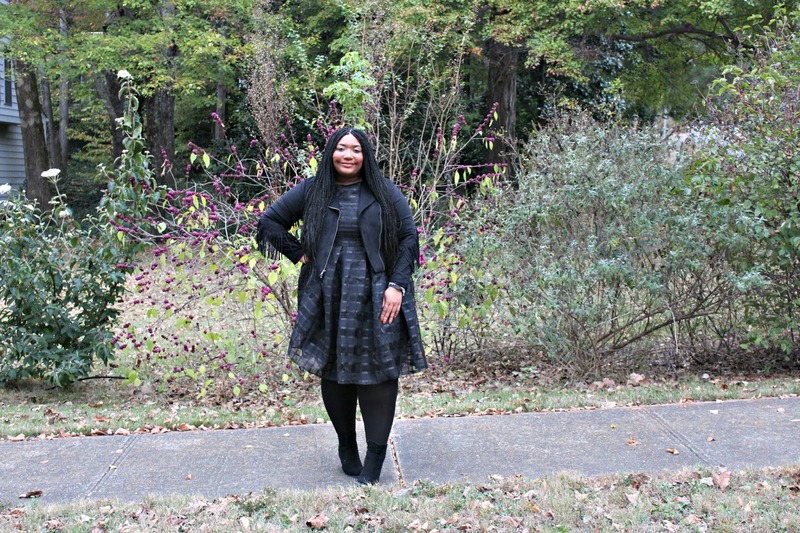 I added my favorite tights, black booties, and my bomber jacket to create texture. Style Notes: This dress is a 5x, which is equivalent to a large 1x and small 2x, please pay attention to the size chart. Again, please pay attention to the size chart. Also, I feel like the waist measurement is not the natural waist and more like the belly measurement. 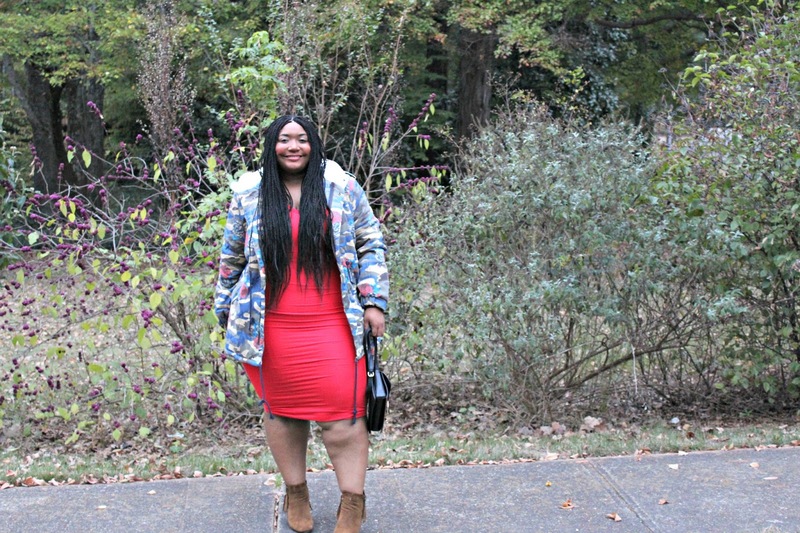 The jacket is a size 2, I sized up. The shoes are a size 10. 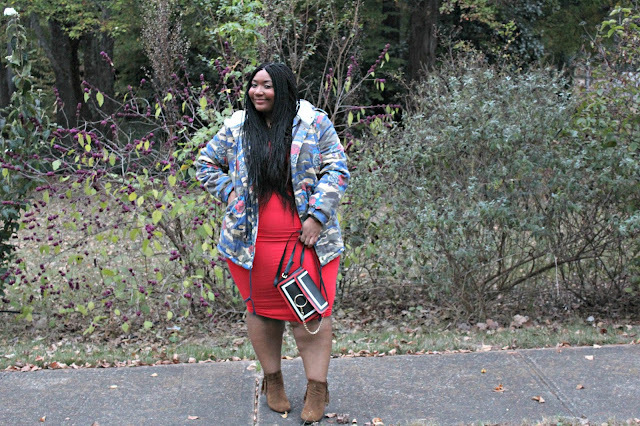 I am into oversized jackets and this SammyDress jacket made me fall in love all over again. Here’s some background information on SammyDress their “commitment is to provide a wide range of high quality, trendy fashion clothing at stunning factory direct prices along with a class-leading customer service experience to our worldwide community of customers.” I did not want to simply this out, I wanted to turn it up by adding a orange/red bodycon and cognac fringe booties. The super cute handbag from Zaful was an awesome touch. 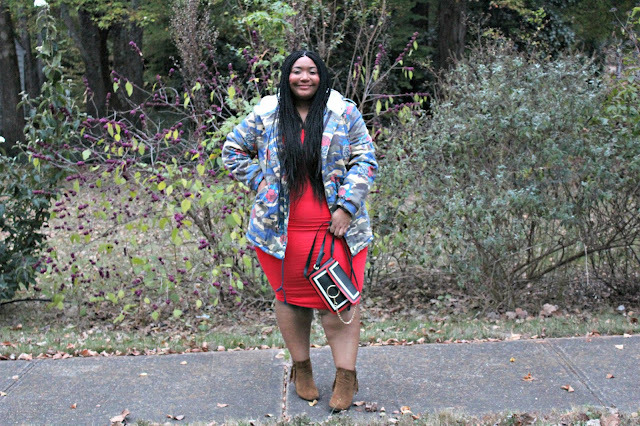 Style Notes: This jacket is a 4x and is equivalent to a 3x. 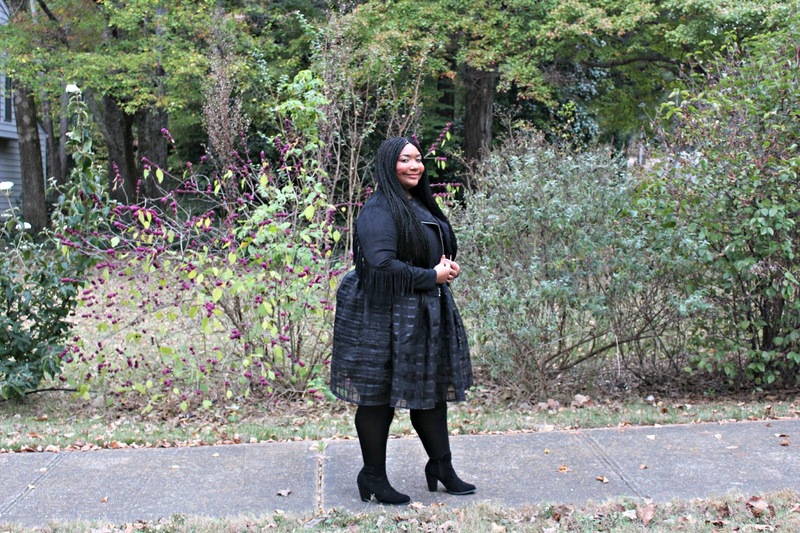 This dress is a size large with a lot of stretch and the booties are a 10. This sponsored post was made in collaboration with Nextmia and SammyDress, the fashion used in this post was provided by Nextmia and SammyDress. All opinions are my own. Next Post The Viola Collection Is Kinda For Me!